SR Windows & Glass of Queen Creek, AZ is a window repair and glass replacement contractor restoring the windows and glass products in homes and commercial buildings of Queen Creek. Since 2010 we’ve been serving the greater Queen Creek and San Tan Valley area. We are a family owned residential and commercial window and glass contractor that cares about treating our customers fairly and standing behind our products and services. Every job is backed by a written warranty including, glass shower enclosures, single pane glass replacements, dual pane glass replacements, and full window replacements. Even though window and glass are built to last long, it is not uncommon to have broken glass on the window, glass doors and glass shower doors. Contracting a professional glazier like SR Windows & Glass of Queen Creek ensures that the re-glaze or retrofitting is done to the original manufacturer’s specifications. Contact SR Windows & Glass of Queen Creek for all your home window repair and commercial glass replacement needs. Our family stands behind the work we do and provide a warranty on every job we complete. We are the number one rated glass company in Queen Creek for a reason. Experience the difference today! A professional glazier has the experience and expertise to carry out the re-glaze to ensure you have new glass on your window frame. We offer both double pane window glass replacement as well as single pane in clear, bronze, gray and low-e coated glass. Consider using tempered glass or laminated safety glass on the windows to your house or commercial building as they are durable and long lasting. With tempered glass, you won’t have to worry about sharp shards when the glass breaks. Annealed glass is a commonly used glass on both commercial and residential glass windows. This is an affordable option that gives you value for your money. Annealed glass is standard for most of the window in Queen Creek homes. Professional glaziers can also repair the other hardware elements of your window in case they get damaged. 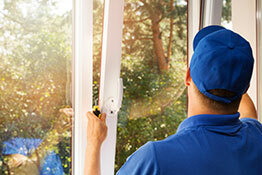 Ensure you contract a reputable window repair company for excellent services. The main hardware elements of windows are glass panes. These can get cracked or broken, and for both instances, it is recommended that you hire a professional glazier for their expert repair services. Window hardware requires the services of a professional glazier who has experience working with different types of windows. Whether you have a spiral window balance or one with side-load channels, ensure you have them looked at when you experience difficulty opening your windows. Even though it does not seem like serious window damage, damaged window sashes make your property vulnerable to burglary attacks. Ensure you have them replaced as soon as possible. If you have sliding windows, the rollers may get stick when you try to open or close windows. 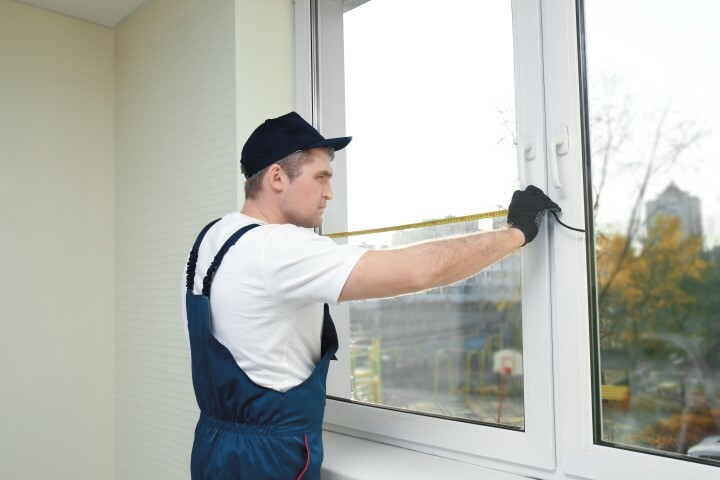 A professional the lazier will know what to do to ensure you can smoothly open your windows. Sliding glass doors perform both aesthetic and functional purposes thanks to their unique design. Ensure they are well maintained for optimum performance. In the case of glass breakage, especially for dual pane doors, you’ll need the services of a professional glazier. Consider using tempered glass on your sliding doors as they are safer and durable. Rollers ensure optimum functionality for your sliding doors. 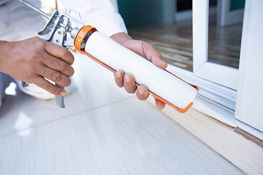 In case of damages, replace door rollers so that they don’t result in more serious damages. When you refurbish your home, you might need to replace windows to give your home a new look. For retrofitting, consider SR Windows & Glass of Queen Creek. Some of the glasses you can upgrade your windows include PVC, energy efficient and aluminum windows. These are cost-effective, safe and durable options that help you achieve a modern look. Replacement windows are available from local manufacturers including Milgard, Solar Winds, Jeld-Wen and ProVia. We’ll retrofit your home or commercial office with new double pane windows that have low-e glass. Most of our customers are remodeling their home or are real estate investors looking to quickly upgrade the home windows or resale. Queen Creek, AZ has a host of entertainment and cultural activities for all to enjoy. The town’s recreation division provides a variety of sporting activities for fitness and fun enthusiasts. Some of these activities include fitness classes and special events such as Trunk or Treat and Passport to discovery. For those interested in Queen Creek landmarks, the Art at Queen Creek marketplace is both inspiring and entertaining. Here you can view a variety of art pieces that date back to the early 1900s such as the Dinky or Doodlebug and the sculpture of the famous Queen Creek resident called Mansell Carter. The Horseshoe Park & Equestrian Centre is entertainment for the entire family. 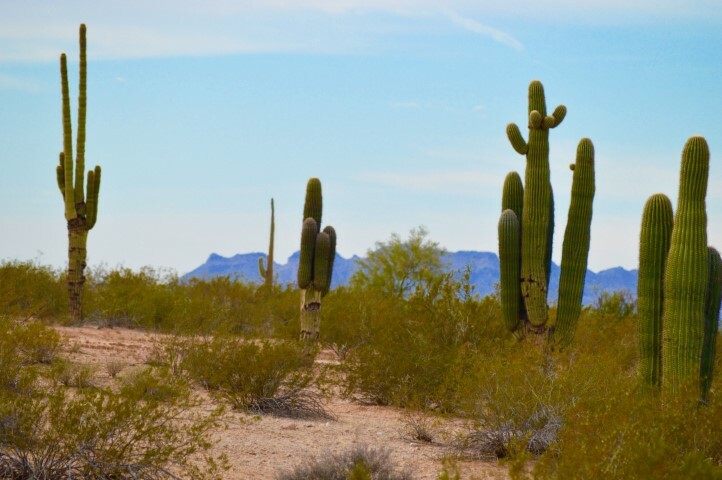 The park is also home to a number of organizations including the Arizona trained cow horse Association and the Arizona cutting horse Association. The park has also hosted many weddings, car shows and concerts in the past. If you’re into performing arts, you’ll be able to view spectacular plays and entertaining musical acts at the Queen Creek Performing Arts Center. Lastly, the San Tan Historical Society Museum preserves the heritage of the Queen Creek area. Ultimately, they encourage the public and educate them on both preserving and respecting artifacts of the past. Whether you are a permanent resident of Queen Creek or only a winter visitor, trust SR Windows & Glass of Queen Creek when you have foggy, cracked or inoperable windows. We’ll get your windows fixed quickly and for an affordable price. Contact us today to discuss the issues with your windows or glass doors. We’ll provide a free price quote and schedule a professional glazier to visit your home or commercial building.